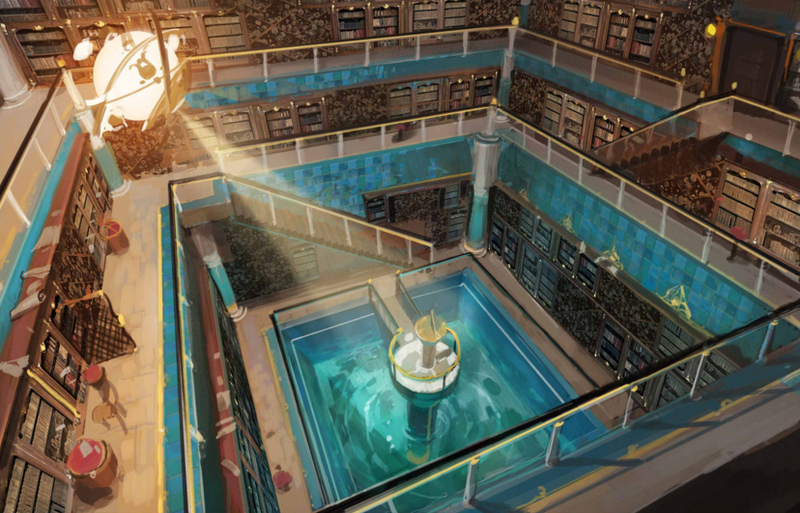 In the Golden City of Menaphos lies a huge library filled with books. Amid those ancient tomes could be one written by you! We would like to invite you to write short texts that we can add to this amazing in-game library; a very rare chance to add content directly to the game. They could be almost anything – a piece of fiction, some undiscovered lore or the ranting prophecies of a dangerous seer. It is up to you to decide. We'll be taking short submissions of up to 250 words at competitions@jagex.com until Monday 17th April and choosing our favourites from those we receive and adding them to the library of the Golden City. Oh wow! Definitely doing this! Hoping the library doesn't get burnt down, Alexandria-style. Can't wait to see the works that get placed in the library! I must say that the library feels very Game of Thrones, but that's probably due to the centerpiece. Will definitely enter! Let's see what I can come up with it. Oh my goodness! A whole.. library... full of... books! Just entered my submission, titled "The Mirror Dimensions". It talks of a savage world known as DarkScape... I prefer my murder-hood; people die 'cos I look so good!